If you know your interior design, you’ll know Kartell. They’re an Italian design company established back in 1949, who have gone on to become a household name to those with a sense of style. One of the things Kartell is famous for is their stunning range of innovative lighting solutions, and we’re proud to be able to offer you some gorgeous Kartell lighting at highly competitive prices on our website. The Toobe floor lamp is functional and stylish. Made from an extruded PMMA tube with innovative colouring technology that gives it a smoky look, Toobe gives off a warm, soft light. Toobe is fitted with an energy-saving bulb that lasts up to ten times longer and consumes five times less energy than a conventional incandescent bulb, and has a handle in the body so is easy to move. If you’re looking for something special to give maximum effect in an ultra-modern home or office, the Taj table lamp is what you need. This remarkable piece doubles as a sculpture, and throws out a pleasant LED light. Standing 58cm tall, Taj is available in transparent crystal, satin frosted, white or black and has won an Interior Design ‘best of year’ award. The days of crystal chandeliers might be over, but you can still have a Kartell Bloom Pendant Light and enjoy its dramatic effect in your living room or bedroom. A tubular framework of polycarbonate has been overlaid entirely with tiny polycarbonate double corolla flowers, allowing this sensational piece to deliver you an extravagant light display in your own home. This is just a small selection of the Kartell Lighting we have available at Contemporary heaven, and we offer them at truly competitive prices. 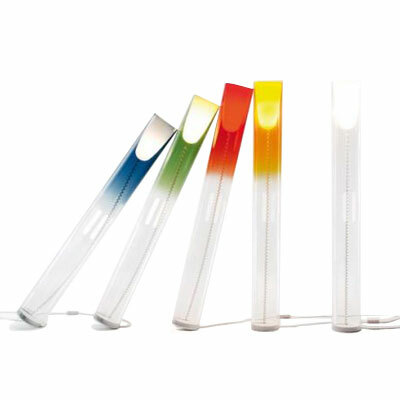 See some of the others here, or use our search bar to look for Kartell Lighting and other spectacular Kartell Products.